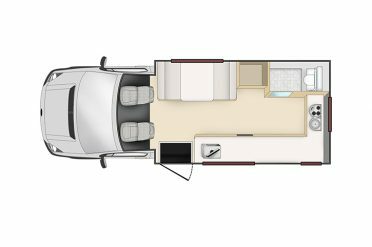 A spacious, self-contained 4 berth motorhome ideal for exploring New Zealand with your closest family and friends. 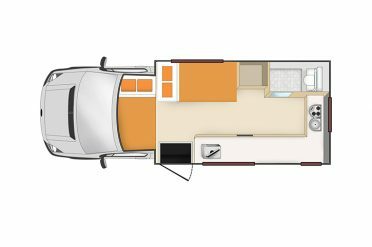 The Apollo 4 berth Campervan is fully equipped with a well-designed kitchen area, shower and toilet, TV and DVD player and two dining areas. Apollo are well-designed motorhomes, less than 3 years old, comfortable and beautifully finished. 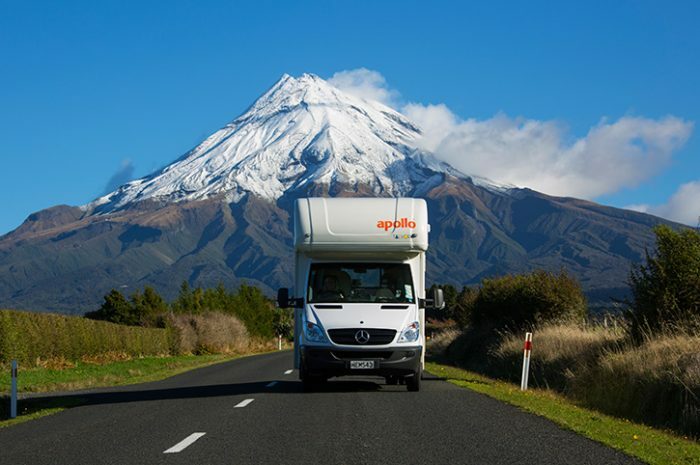 You can pick up your camper from Auckland and Christchurch. Motorhomes can be taken on the Interisland Ferry (a charge will apply). 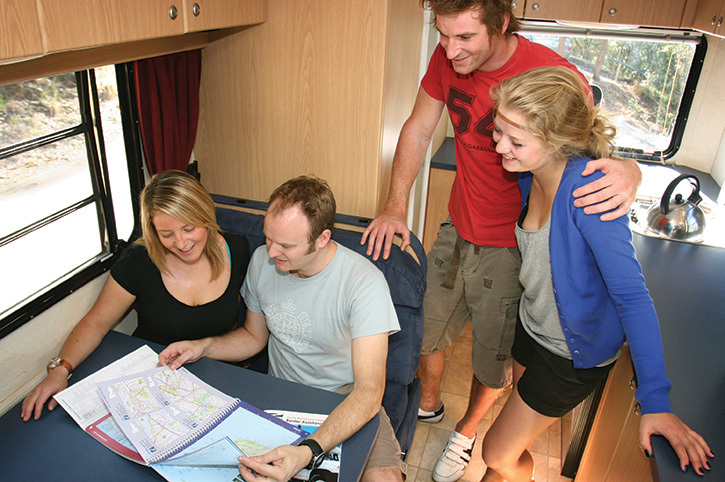 One Way Hire: Save time by picking up your motorhome at one place and dropping off at another. A $100 one way fee applies when travelling from Auckland to Christchurch between April and September and $300 from October to March. A $250 one way fee applies when travelling from Christchurch to Auckland from November to March. One way fees are payable locally. Road User Recovery Fee: A government-imposed tax is payable on all diesel vehicles in New Zealand. The amount is calculated per 100km travelled. 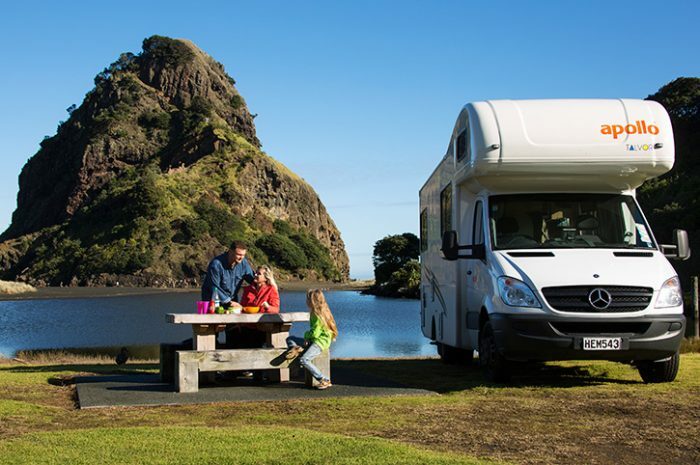 Your 4 berth motorhome will be charged locally on return at a rate of $7.22 per 100km. Upgrade to our All Inclusive Option – pre-purchased gas bottle, camp table and chairs, unlimited windscreen, tyres and undercarriage damage cover, snow chains and excess reduction to nil. All Inclusive Option from £32 per day. 2 Free Days of Campervan Hire for every 7 days booked! PLUS – NO one way fees on bookings made before 31st August 2019! Offer – 2 Free Days of Campervan and Motorhome Hire for every 7 days Booked. Available for travel between 01 May 2019 and 15 September, available from all New Zealand Branches. Offer expires 9th September 2019. Rates and Terms & Conditions may vary depending on time of travel. Motorhome rates operate on a best available price basis, please contact a Freedom Destinations consultant for an accurate quote. You must be over 21 and have a full driving licence for at least two years. On collecting your motorhome, you will be asked to sign the hire company’s own terms and conditions of hire making the rental subject to a direct contract between each driver and the hire company. A credit card bond will be taken to cover additional costs such as fuel and optional services. All prices include insurance subject to up to a $5000 excess for each accident. The insurance will not cover damage caused by negligence, loss or damage to personal property or damage to windscreen or tyres. A bond is payable by credit card on pickup to cover excess charges. Motorhomes may only be driven on sealed roads. A $100 one way fee applies when travelling from Auckland to Christchurch between April and September and $300 from October to March. A $250 one way fee applies when travelling from Christchurch to Auckland from November to March. One way fees are payable locally. A surcharge will be applied for pick up/drop off on public holidays. A Road User Recovery charge of $7.22 per 100km will be charged on return of your vehicle. Up to $25 gas refill fee and a 2% credit card fee are also payable locally. Minimum rental 5 days, or 10 days from 1 – 12 Feb and 14 days from 15 Dec – 10 Jan. Discover New Zealand in your own holiday home on wheels. 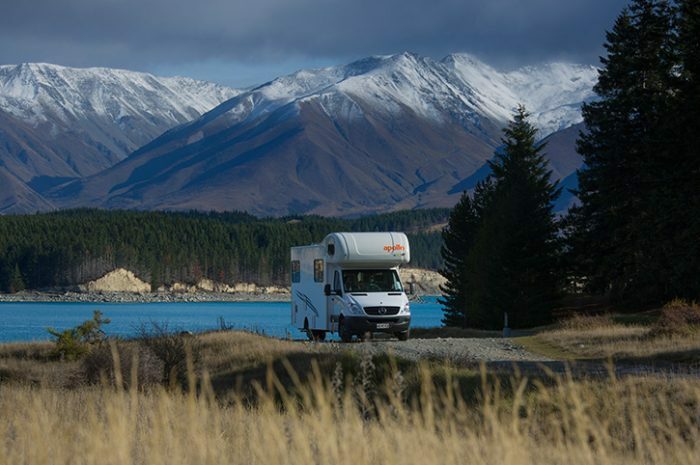 Our easy-to-drive motorhomes are fully equipped and self-contained for the ultimate Kiwi adventure. 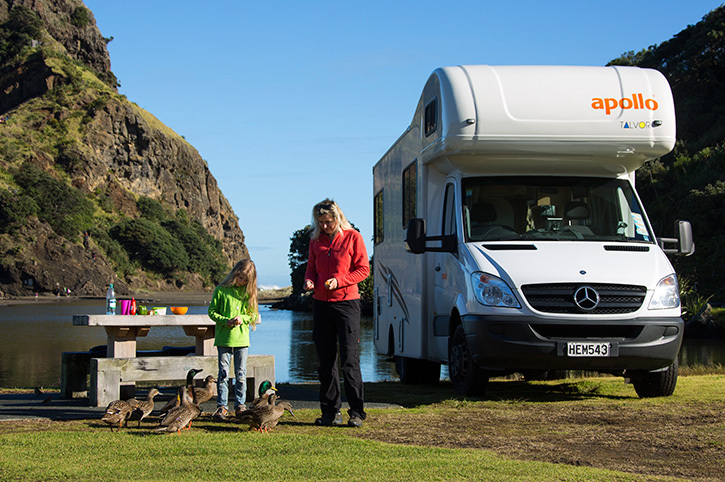 Talk to a New Zealand Expert about booking your 4 Berth Campervan today.